In late January, we were all wondering where the snow had gone this year around Driggs...and in most of Idaho, for that matter. High pressure & bluebird days dominated most of the month. It all changed by the end of February, but more on that later. 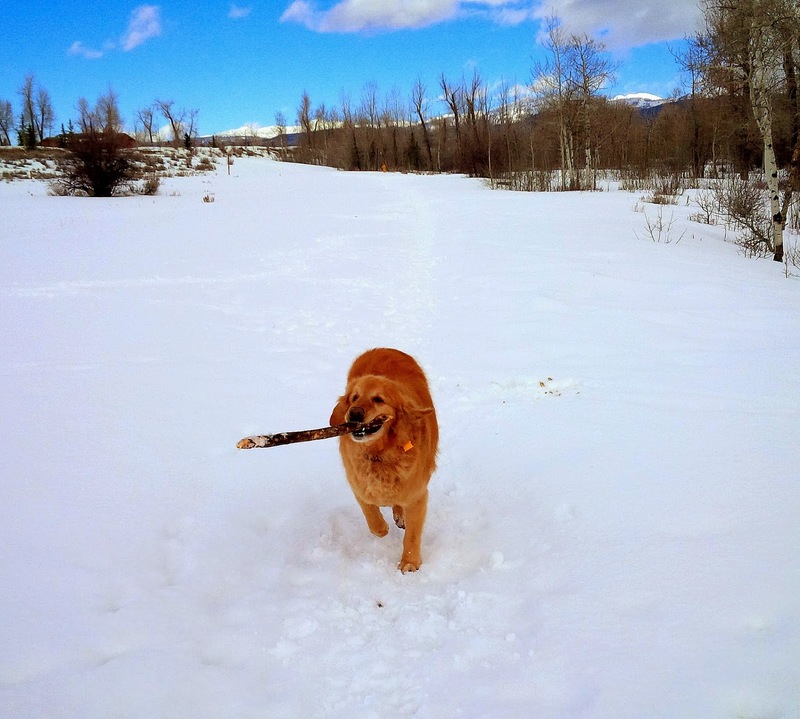 Teton Valley Trails & Pathways is a local non-profit organization that grooms over 30K of trails for both classic and skate nordic skiing each winter. 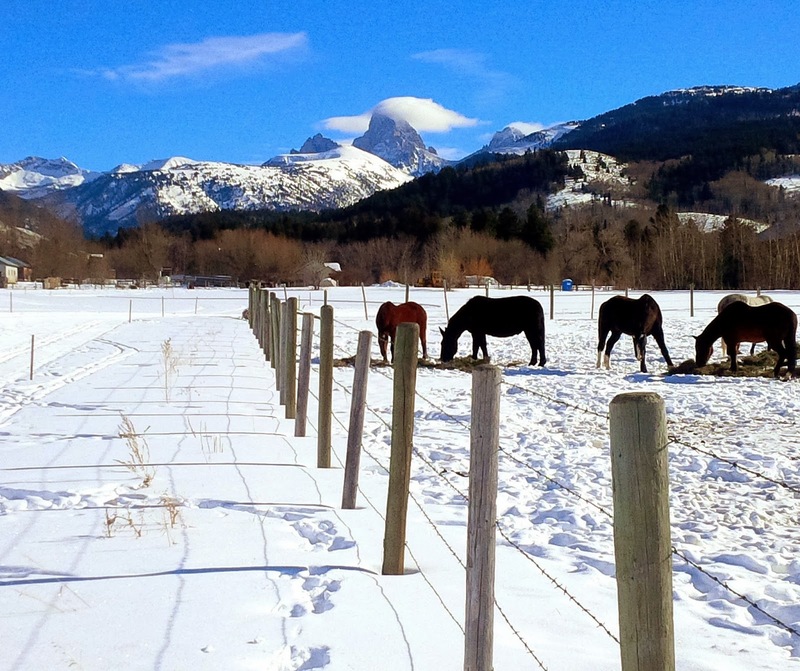 My favorite area is the Alta track, where Teton Views meet local farm & ranch land. I especially love this section with the horses grazing nearby. 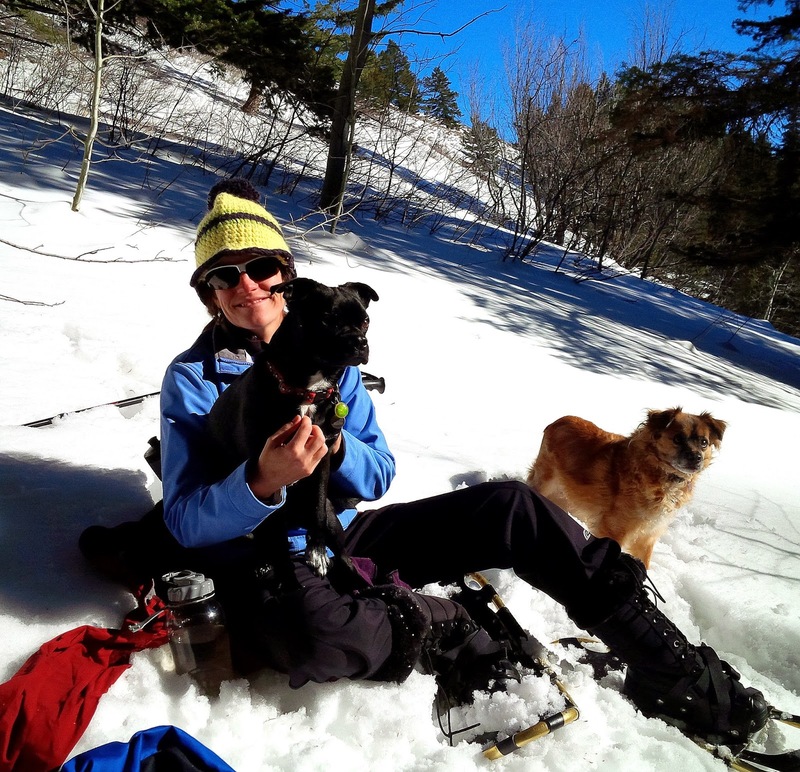 Melissa & I took advantage of yet another clear winter weekend to take the dogs snowshoeing. I've always loved the simplicity of just getting out there and meandering around in the woods while floating on snow; or you can get after it and hike aggressively, with low-impact downhills. There are so many nice canyons around Teton Valley, in every direction, and odds are you won't bump into another soul out there. The local snowbiking (a.k.a. 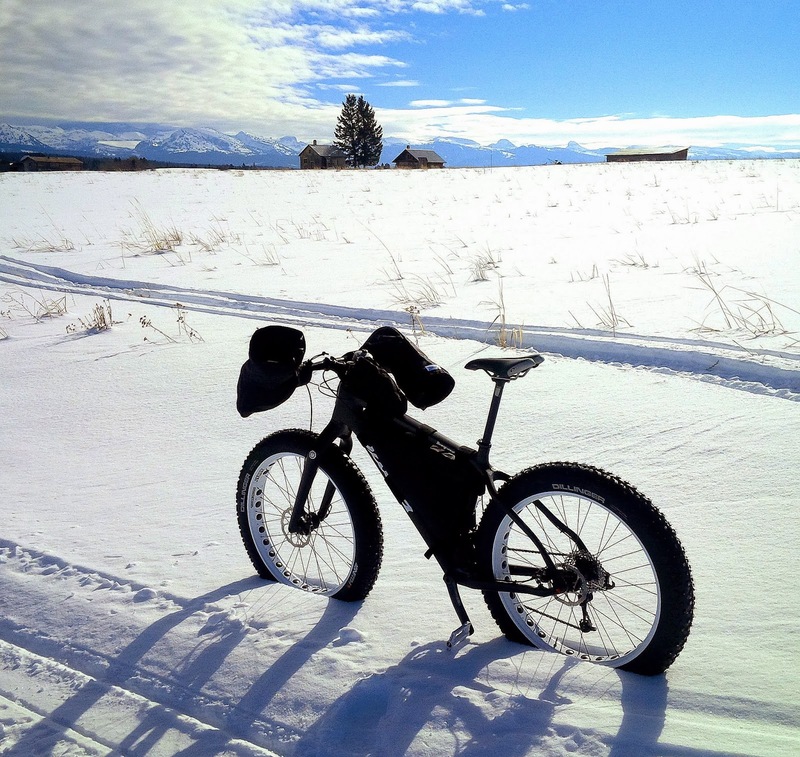 "fatbiking") was absolutely stellar during December & January. I took this photo on my longest ride of the year, on the Pinochle-Jackpine loop north of Tetonia. It was 26+ miles of riding on groomed snowmobile trail, in the shadow of the Tetons, in silence and with no one around. Two days later I blew out my calf playing basketball in Jackson, and was glad I had busted out this big ride while healthy. As February progressed, storms begain rolling in more regularly. 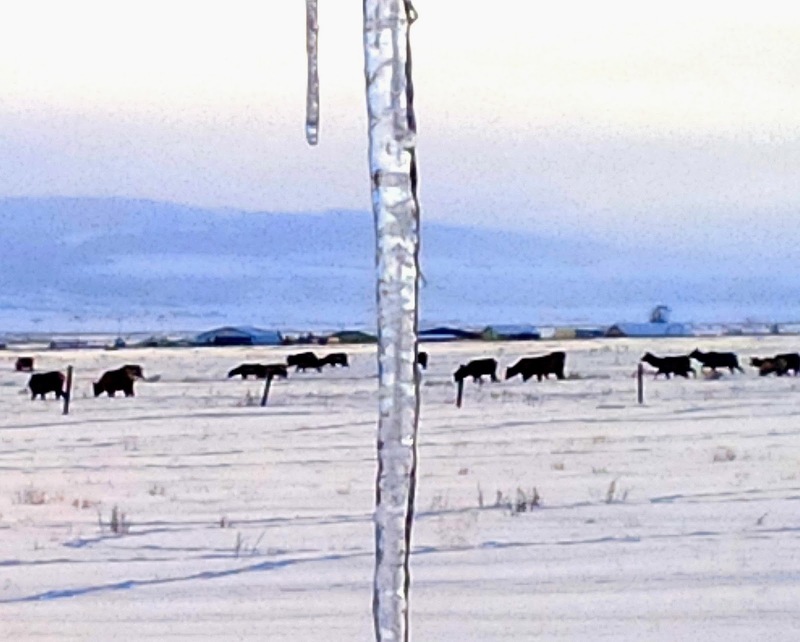 And the elk moved down into the valley...including a few days right around my house. I've always loved these animals, and how majestic & elusive they are. The native name of Wapiti ("ghosts of the forest") suits them perfectly. 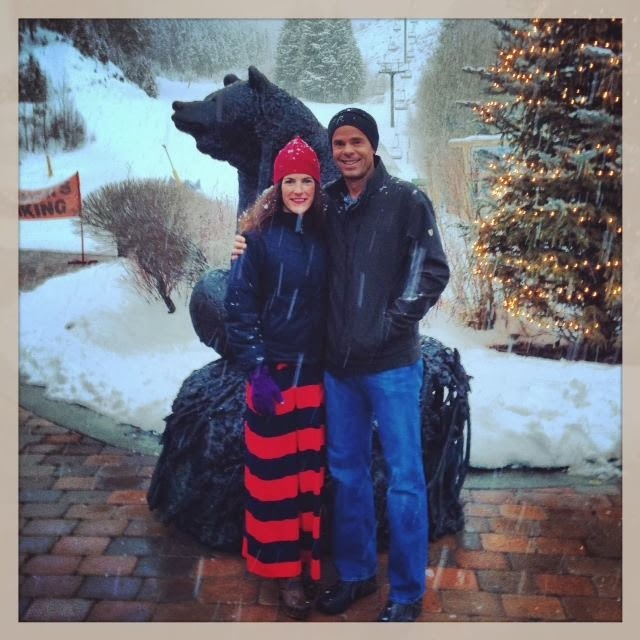 A nice, snowy Valentine's dinner with my gal. I had a great, rare week with Bridger at the end of the month. I forget how big he is, and how much he likes sticks. He'll be 7 years old on March 8...and he's a damn good dog. The last 3 weeks of February were almost constant gray, wind, and cold...with the exception of one day. 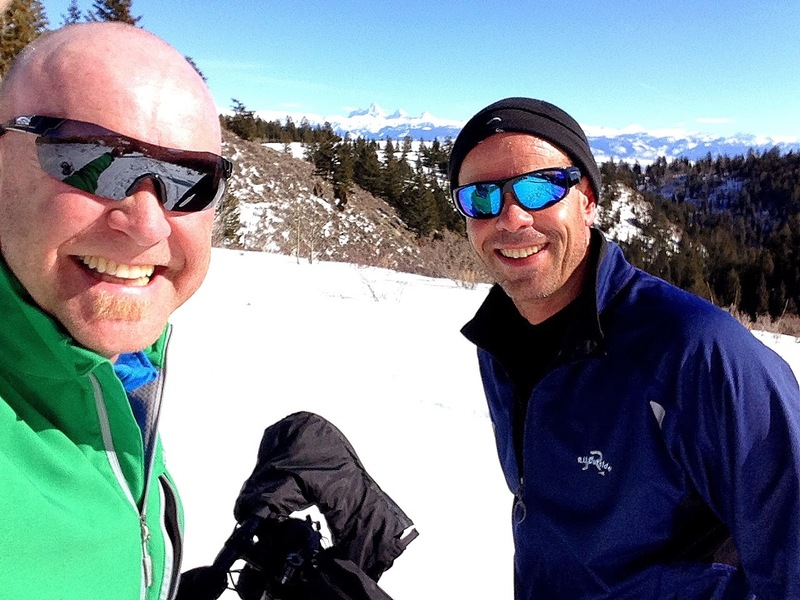 My buddy Eric & I pounced on it impromptu style, and did a sweet snowbike ride with plenty of climbs and Teton views. Not a bad way to close out the month - and my calf is finally feeling better. 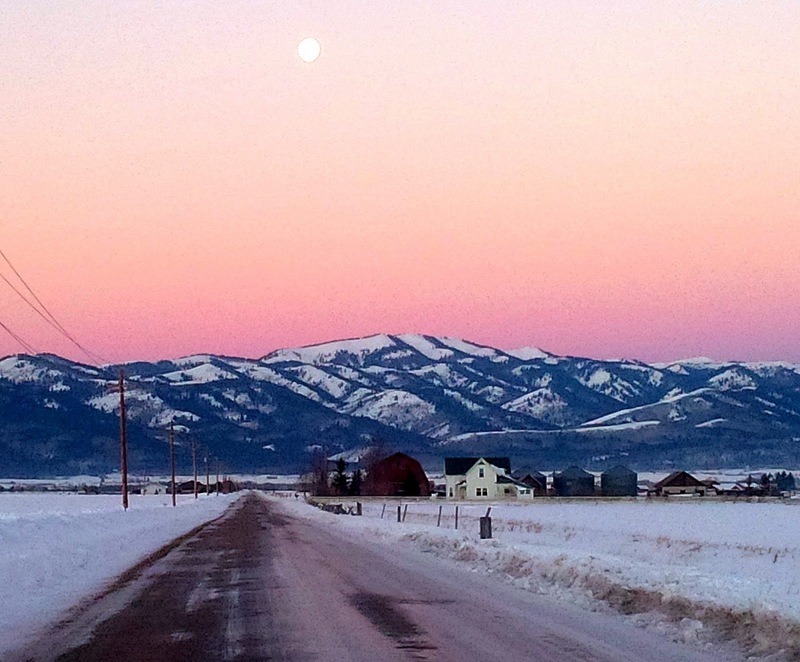 And then there was this stunning, simultaneous sunrise & moon set , looking at the Big Hole Mountains west of Victor.